Fine motor skills let kids perform crucial tasks like reaching and grasping, moving objects and using tools like crayons, pencils and scissors. As kids get better at using their hands, their hand-eye coordination improves. They also learn skills they need to succeed in school, such as drawing and writing. Information that the brain receives from our muscles and joints to make us aware of our body position and body movement, so we can accurately control our movements. 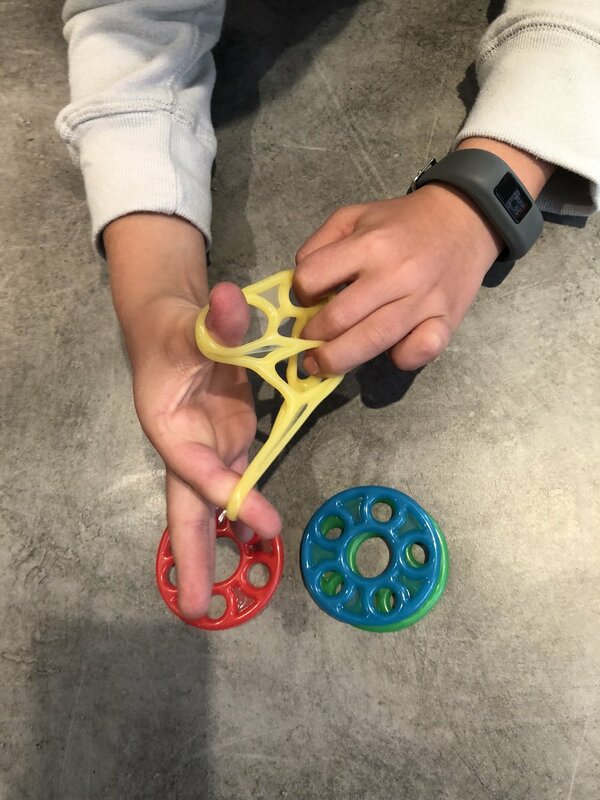 Improve hand and finger strength in both flexion and extension with the Handii. Practice using both hands to perform tasks, not just one (e.g. use the ‘doing hand’ to place the block and the ‘helping’ hand to hold the block construction steady). Object Manipulation: Manipulate objects such as a pencil and scissors with control.